Bruce Ashby, CEO oneworld; Tom Horton, President oneworld; Ignacio Cueto, CEO LAN Airlines and Damián Scokin, CEO LATAM International. 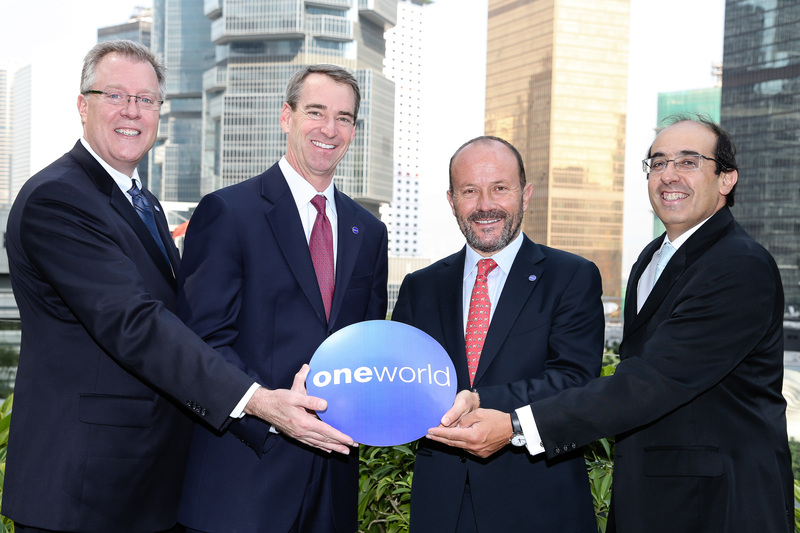 LATAM Airlines Group has chosen oneworld to be its global alliance for all its airlines. With this decision – announced on 7 March at a oneworld meeting in Hong Kong – TAM Airlines will now become a member of oneworld, joining LAN Airlines and 11 other member airlines, including British Airways. TAM will withdraw from the Star Alliance during the second quarter of 2014, on a date to be announced later in 2013. The airline plans to officially join oneworld as soon as it leaves Star Alliance. From that date, TAM passengers will be able to accumulate kilometres/points by flying on any oneworld member airline. Until then, they will continue to receive the benefits offered by the Star Alliance. Currently, oneworld members include airberlin, American Airlines, British Airways, Cathay Pacific, Finnair, Iberia, Japan Airlines, LAN, Malaysia Airlines, Qantas, Royal Jordanian and S7 Airlines, as well as 30 affiliates. SriLankan Airlines and Qatar Airways are in the process of joining the alliance. During the event in Hong Kong on 7 March, the executives also announced the entry of LAN Colombia in to oneworld as an affiliate member. This will also occur during the fourth quarter of 2013, when it will join other LAN affiliate airlines LAN Argentina, LAN Ecuador and LAN Peru, reaffirming LAN’s 13-year membership in oneworld. This entry was posted in Brazil, Transport and tagged Brazil, oneworld, TAM Airlines by Critical Divide. Bookmark the permalink.